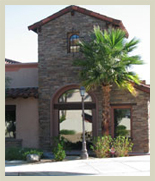 The Law Offices of Aaron F. Garcia represents clients in Real Estate, Business Law and Probate Litigation cases. We are dedicated to your case. We provide the highest quality legal representation and take a results-oriented approach in every case. Whatever the legal issue, the needs of our clients come first. Mr. Garcia is primarily a litigation attorney. Although our office has prepared many estate plans for clients, the legal knowledge and skills for drafting an estate plan are different than the legal knowledge and skills required in a courtroom. At our Firm, we work with clients to achieve their financial objectives. Our attorneys counsel clients, both big and small on a broad range of business matters. We represent all types of businesses at all stages of development, from forming a new business to established corporations. We work with our clients on all aspects of real estate from acquisition to zoning, and all matters in between. Our real estate practice is complemented by the full range of alternative dispute resolution and litigation services.